Decades of research have established that racial ethnic minority, low-income, and/or non-English speaking children with autism spectrum disorder (ASD) are diagnosed later than white children, and their families experience greater difficulty accessing services in the USA. Delayed access to timely diagnosis and early intervention may impact child outcomes and family quality of life. 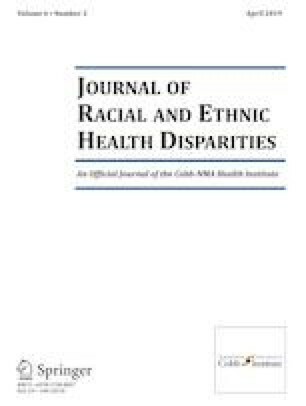 Despite their cognition of these disparities and their significant impact on the lives of those affected, explanations for the barriers experienced by underserved families are elusive, likely due to the complex interaction between structural and family factors. This study used qualitative methods to gather family and provider perspectives of perceived barriers and facilitators to obtaining an ASD diagnosis and accessing ASD-related services for underserved families. Themes from focus groups and interviews with families from three cultural groups (black, Hispanic/Latino, and Korean) and three primary languages (English, Korean, and Spanish) highlight specific barriers related to family, community, and systemic challenges as well as facilitators to accessing care for these populations. Family experiences are expanded upon with viewpoints from the providers who work with them. Recommendations are made for reducing disparities in the existing ASD service system including increasing professional, family, and community education; increasing culturally responsive care; improving provider-family partnerships; and addressing practical challenges to service access. The original article has been corrected: The middle name of coauthor Francisco Reinosa Segovia was misspelled (as “Rienosa”) in this article as originally published. A correction to this article is available online at https://doi.org/10.1007/s40615-019-00587-8. This study was funded by the Health Resources Services Administration (HRSA) award number UA3 MC11055 HRSA PI: Kasari. All procedures performed in this study were in accordance with the ethical standards of the University of California, Los Angeles, University of California, Davis, University of Pennsylvania, Drexel University, and University of Rochester institutional research boards and with the 1964 Helsinki Declaration and its later amendments or comparable ethical standards. National Council on Disability (NCD) (IDEA Series). The segregation of students with disabilities. 2018. Retrieved April 2018 from https://ncd.gov/sites/default/files/NCD_Segregation-SWD_508.pdf. U.S. Census Bureau. The American Community – Asians: 2004. Retrieved March 2018 from https://www.census.gov/prod/2007pubs/acs-05.pdf. Autism Intervention Research Network on Behavioral Health. AIR-B mission. 2013. Retrieved June 2018 from http://airbnetwork.org/objectives.asp. Dedoose Version 7.5.9, web application for managing, analyzing, And presenting qualitative and mixed method research data. 2016. Los Angeles, CA: SocioCultural Research Consultants, LLC. http://www.dedoose.com/. Accessed April 2018. MissyUSA. 2009. Retrieved March 2018 from https://www.missyusa.com/mainpage/content/index.asp. Rhoades RA, Scarpa A, Salley B. The importance of physician knowledge of autism spectrum disorder: results of a parent survey. BMC Pediatr. 2007;7(37):1–10. https://doi.org/10.1186/1471-2431-7-37.